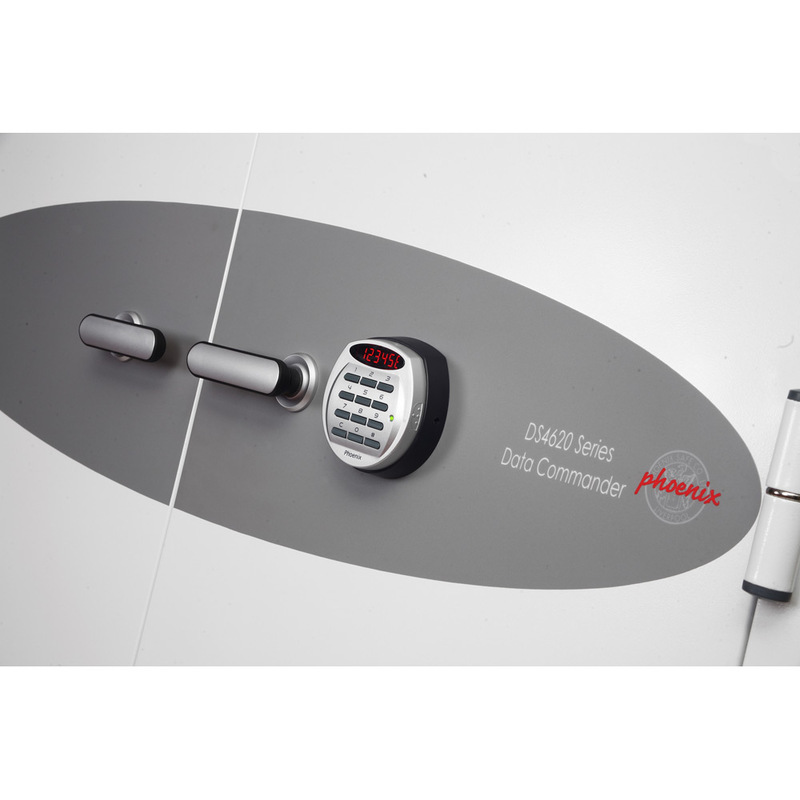 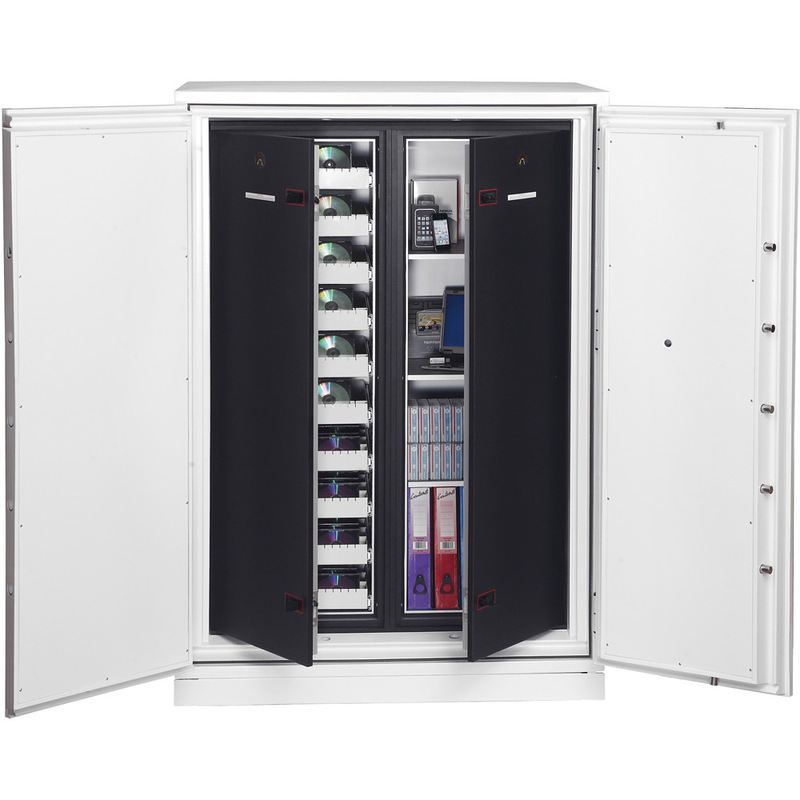 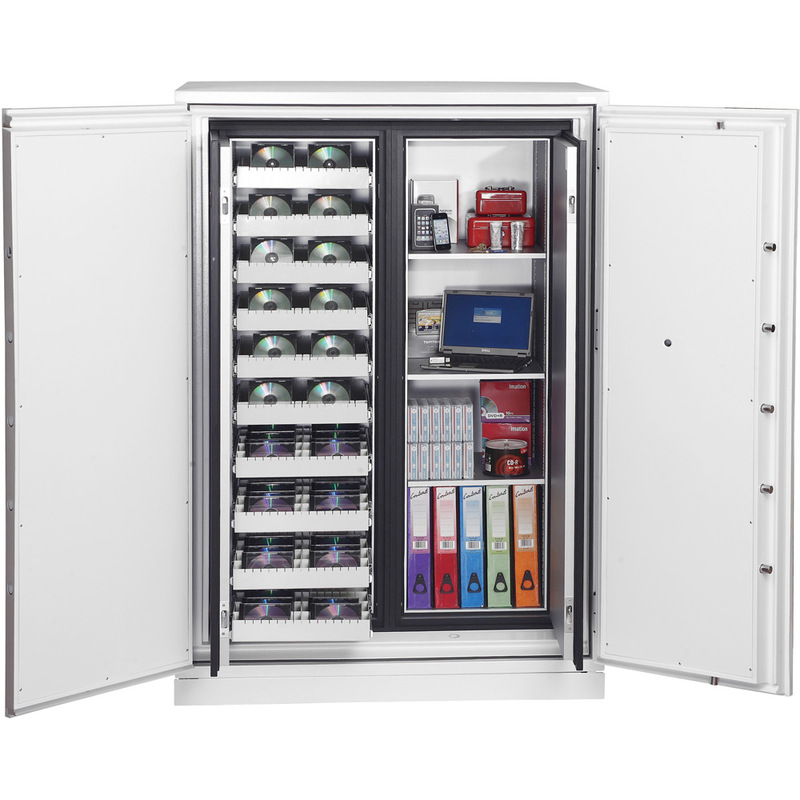 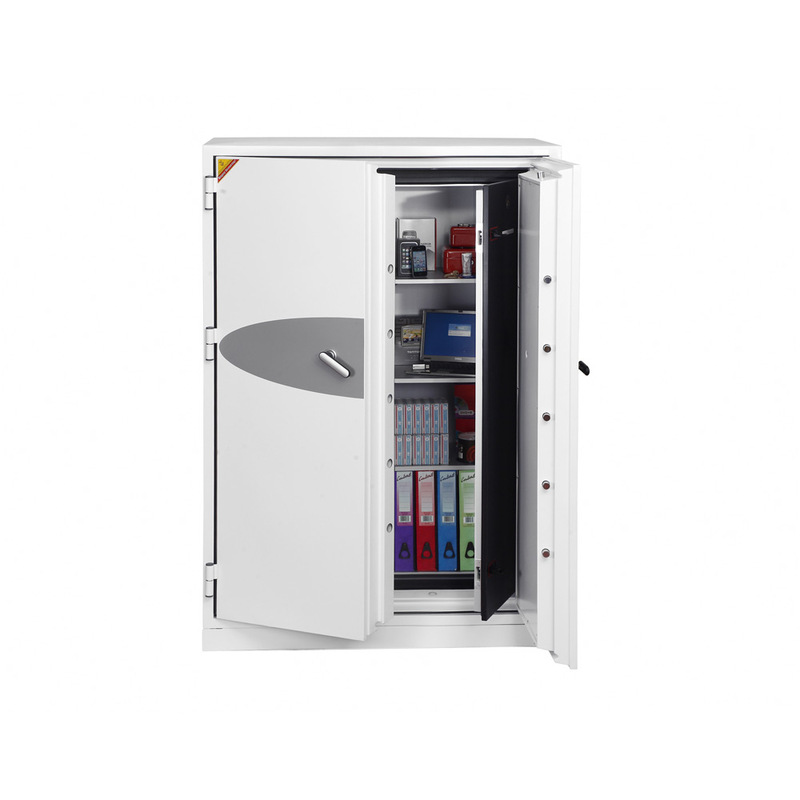 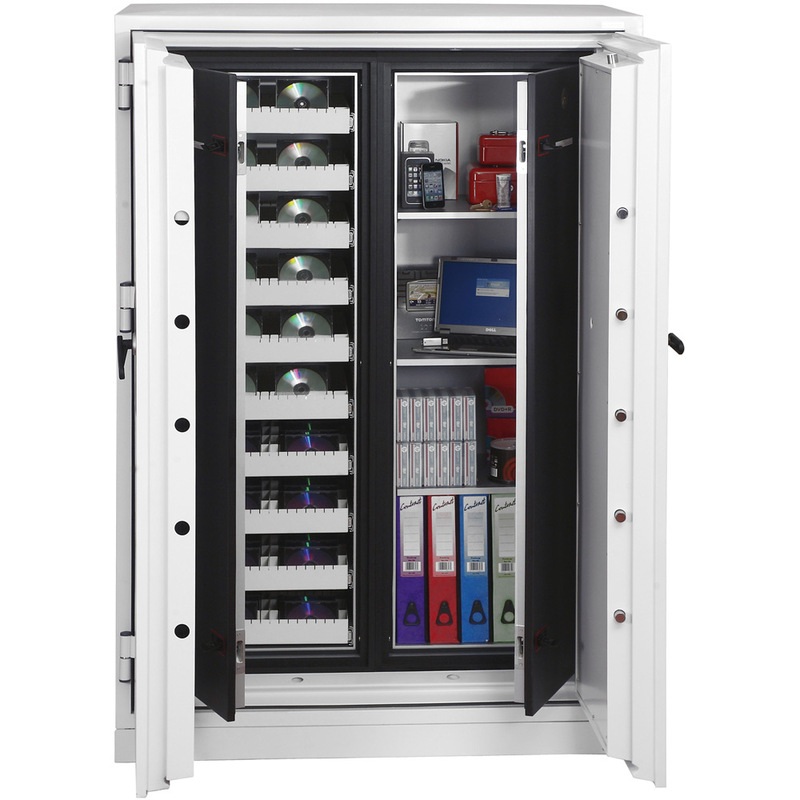 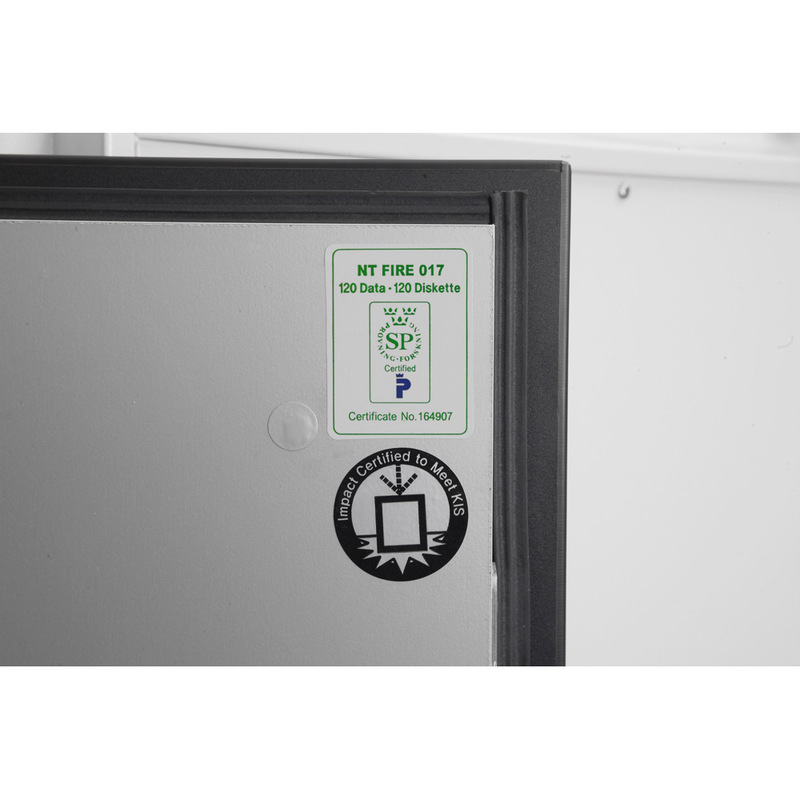 THE PHOENIX DATA COMMANDER DS4623E is designed to meet the requirement of a large capacity fire protection unit for computer diskettes, tapes and all forms of data storage. 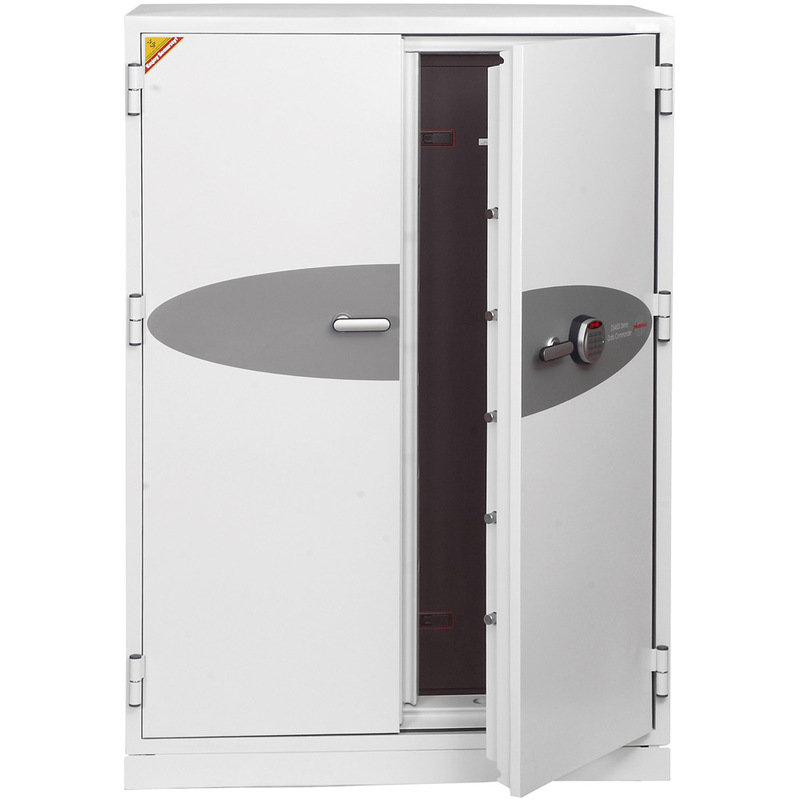 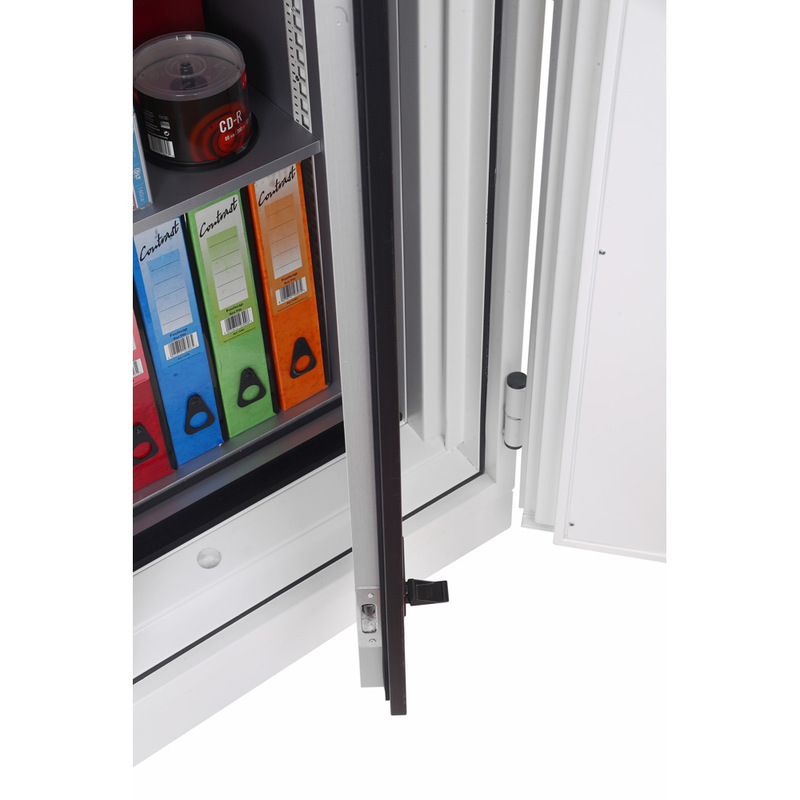 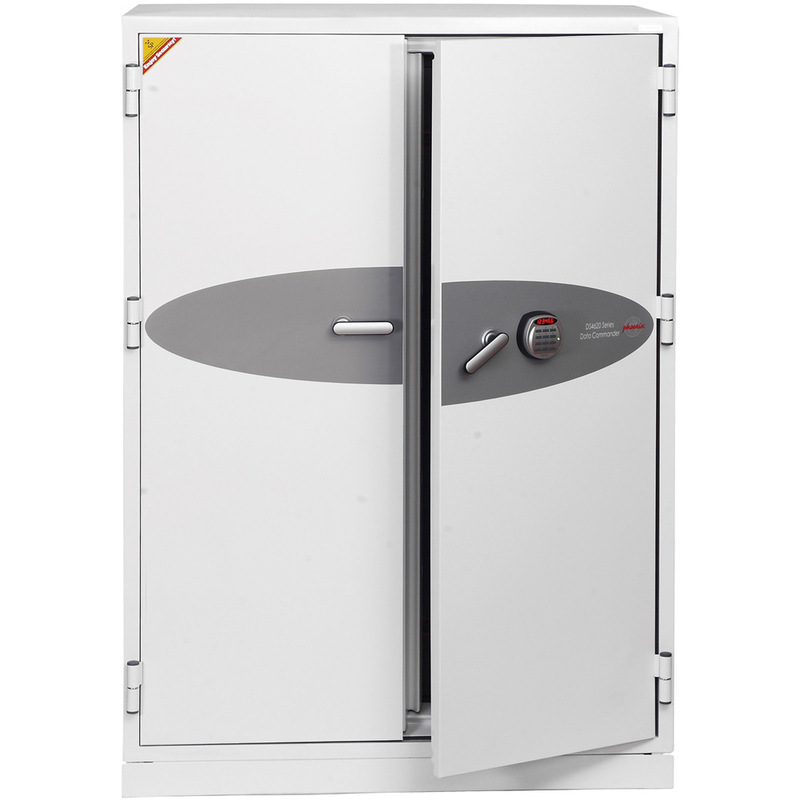 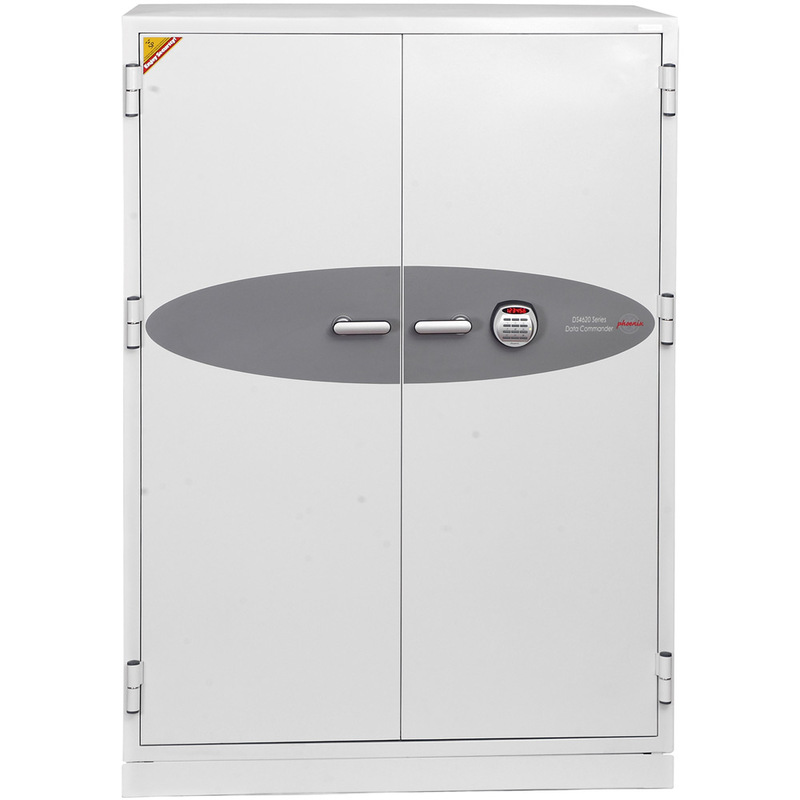 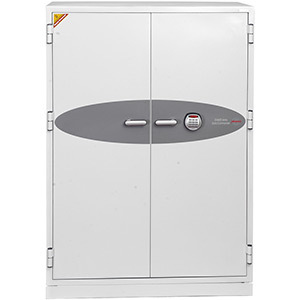 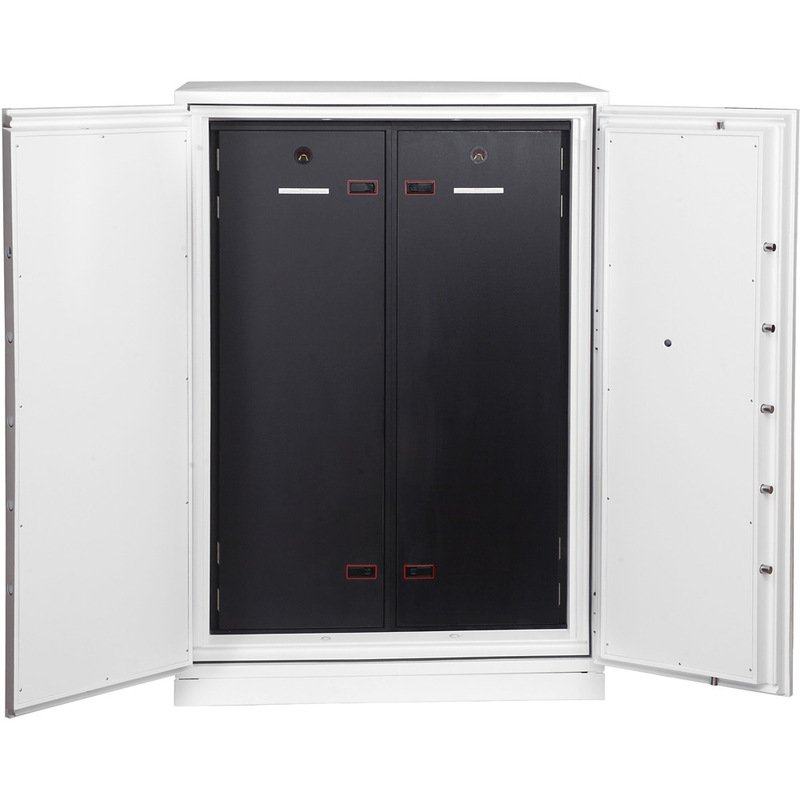 Suitable for use in commercial business premises for large volume storage. 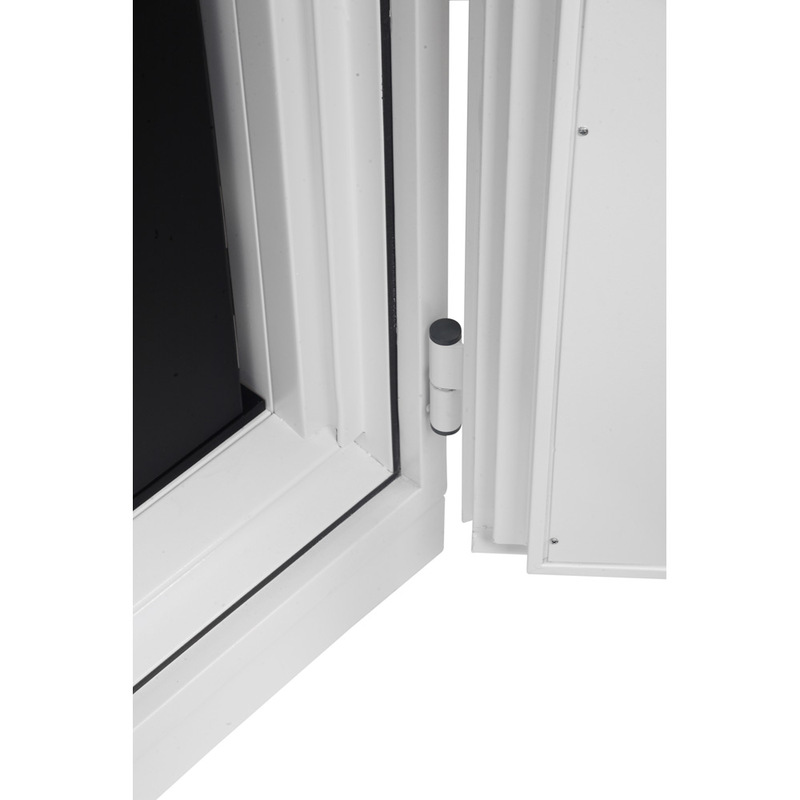 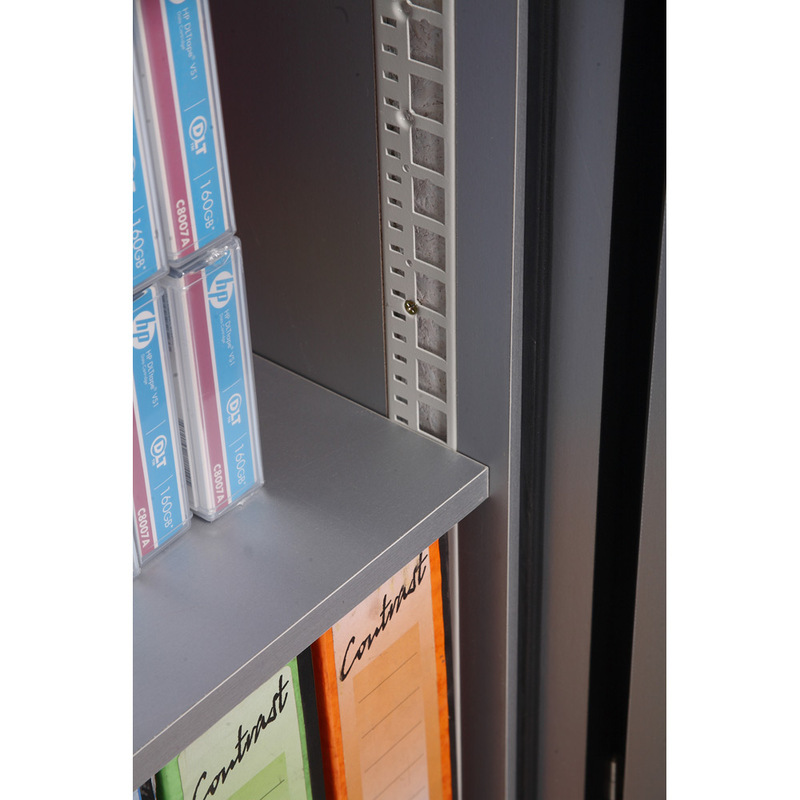 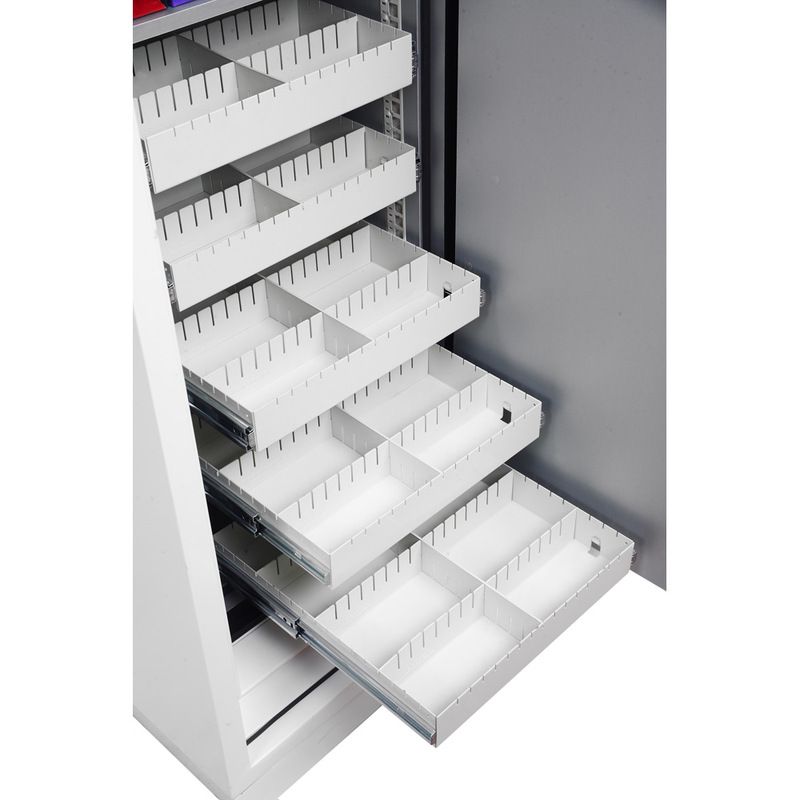 FITTINGS – Each unit comes complete with 3 height adjustable shelves and 10 pull out media trays. 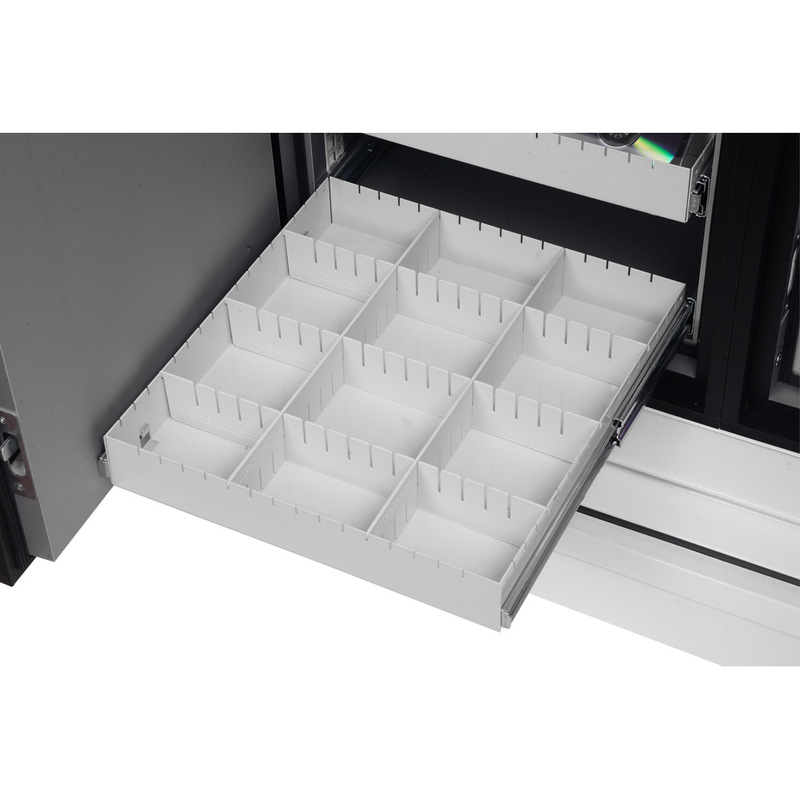 Dimensions Notes: Width comprises of two compartments each 395mm wide.